Welcome to Echo Volume 1: Approaching Shatter by Author Kent Wayne! Author Kent Wayne does a good job with this first book in his Echo series titled Echo 1: Approaching Shatter. His writing style is lively and at times humorous. The characters are well developed, and it is truly a compelling story. His book is an interesting look at a futuristic version of humanity. Global warming has made Earth uninhabitable, and now humans live on similar planet called Echo. Governments and corporations have merged and created the Department of Enforcement to crush the Dissident rebels who are fighting to make their lives better. Much of Echo is in a rapidly deteriorating state, but the elite live up in the sky where they can ignore the chaos below … that is threatening to destroy Echo. In Approaching Shatter, the main character, Atriya, is one of the Department of Enforcement’s highly-trained Enforcers. As a good soldier, he follows orders. However lately, he has been having second thoughts and strange ideas. He wonders about things that he shouldn’t and wants to do something, but is unsure of what path to take. This is the source of the story’s conflict and the narrative unfolds from there. I do not usually read a lot of science fiction, but I do like military fiction, so I took a chance on it. This book was pretty darn good because it is not just about the action. It also explores the ideas of humanity, courage, strength, bureaucracy run amuck, war, and even religion. I have one minor comment/complaint. I’ve always loved westerns, especially Louis L’Amour. But I could never get into Zane Gray. That was because Zane Gray included way to much detail. I have an imagination. Let me use it. Echo 1 is kind of that way. Maybe not as bad as Zane Gray! But I must admit, whether or not there is too much detail, often depends on the reader. Many readers loved Zane Gray westerns. In my novel, Serpents Underfoot, a couple reviews complained I gave too much detail on things like military weapons or tactics. Then again, some readers eat that stuff up. I guess the point is that a lot of this is subjective and depends on the readers personal preferences. I haggled over 4 or 5 stars for this book for a few days, and settled in on 4.5 … which rounds off to 5 anyway. Military science fiction readers will love it! Don’t forget to check out my novel as well! Another 5 Star Review for Serpents Underfoot! Thank you, DeeDee, for the awesome 5 star review! Serpents Underfoot just received another outstanding 5 Star review on Amazon.com. Thank you, DeeDee, for the wonderful review. It really means a great deal! While chasing reviews should not become an end to itself, a good review certainly means a great deal to an author. It certainly does to me. I still remember just how much it meant to me when I got that first review from a stranger who enjoyed my book, and I realized that people (who, shall we say, were not biased in anyway) were actually enjoying what I had written. There is also no question that the more good reviews a book has, the more other prospective readers will be inclined to purchase and read the book! If you like a good counter-terrorism, military action/thriller with a touch of romance, I hope you will consider checking Serpents Underfoot out! I really don’t think you will be disappointed. When you’re finished reading it, please leave a review! I would really love to hear what you thought. 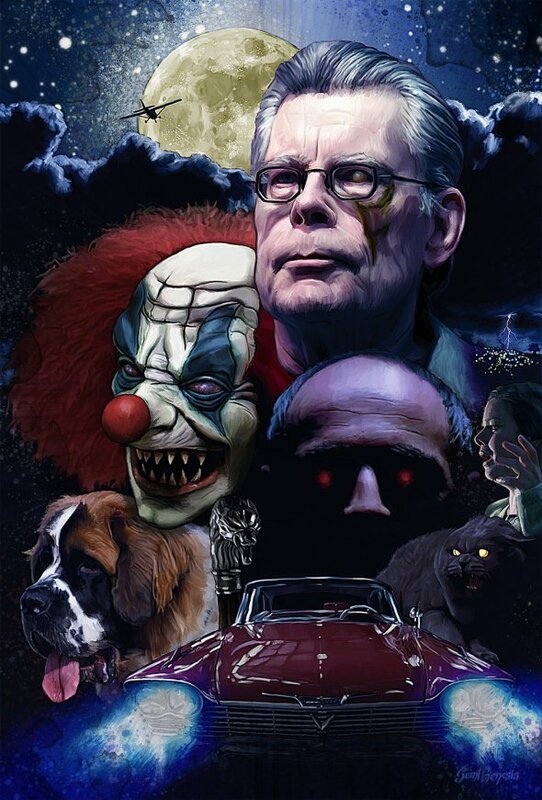 Stephen King is a master of the craft! While traveling to Washington, D.C. recently, I thoroughly enjoyed listening to the audio-book version of On Writing: A Memoir of the Craft by Stephen King. I could literally hear Stephen King’s “voice” in my head as I drove to Quantico, VA and then boarded the train to Union Station. That may have been because he narrated the book himself. To be honest, it was not what I expected at all. This “memoir” was broken up into several sections, with the earlier sections devoted to different parts of his life. The last sections are devoted to his advice on the craft of writing. The chapters are preceded by three forewords. This memoir was fascinating to listen to. I was amazed by the way that King wove stories of his life, his craft, and advice to new writers together through the pages. It was inspiring to listen to what he went through to become the success he is today and to hear about how he struggled and worked hard for that success. King’s advice on the “how-to’s” and “what to avoid” were very practical to a new writer. The term “actionable” comes to mind. It was also very interesting to get his views on writing classes and groups. They mirrored a decision I had recently come to. The important thing is just to write, as much and as often as you can. You should also read a great deal. I liked his comments about those who want to be a writer but are too busy to read. Stephen King’s memoir, On Writing, is a fascinating and helpful book for both aspiring and experienced authors. It explores writing, the writer’s tool box, and the writing life. I enjoyed listening to this book very much because I have always loved to read … and now love to write. On Writing: A Few Tools for the Writer’s Tool Box. I am not going to go into great detail here. If you want that, read or listen to the book. But here are a few tips that might whet your appetite. Identify your ideal reader. That one person you are writing the story for. For Stephen King, it’s his wife Tabitha. Shut the door each day and keep it shut until your goal is met. Television is a distraction and a great time waster. Plot and theme may not be the “be all and end all” of successful writing. Create a situation and let the story unfold. Let your characters tell you the story. Hindsight is always 20/20, but I wish I had read his book before starting my novel, Serpents Underfoot. Don’t get me wrong. I think it’s a great read, if I may say so myself. And, everyone who has read Serpents Underfoot seems to agree. In fact, I wrote my novel more or less in the way he describes writing should be done. It is just that there were a lot of tips and advice in his book that could have made the writing process smoother and given me a greater understanding of my initial faltering steps in developing my own skills in this craft called writing. These tips will certainly help in my future projects.